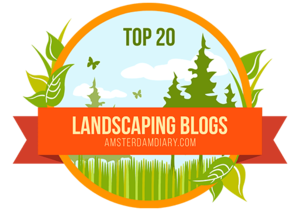 Top Reasons to Hire a Landscape Maintenance Company! Your commercial landscaping is often times your first impression and our team at Earth First Landscapes in Katy, Texas is here to provide the top reasons to hire a landscape maintenance company! 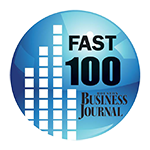 As for our team at Earth First Landscapes in Katy, Texas, we believe hiring a commercial landscape maintenance company is perhaps one of the most important things you could do to maintain a positive impression with your customers and the overall value of your property! Whether you're in charge of a neighborhood entrance or you're a small business owner, your commercial landscape will greatly impact your customers first impression. For these reasons and more, here are the top reasons to hire a landscape maintenance company near Houston! Hire a Landscape Maintenance Company in Houston today! With the goal of providing a quality first impression of excellence and professionalism, there are several reasons to hire a landscape maintenance company in Houston! Perhaps the top reason is simply because you have a business to run. Our ground maintenance professionals at Earth First Landscapes in Katy, TX know what it takes to maintain a well-groomed and professional commercial landscape. From understanding seasonal colors in the form of annuals and perennials to a thorough ground maintenance plan, our team will ensure your neighborhood entrance or business grounds consistently add to the value of your property. Our trained and uniformed crews at Earth First Landscapes are full-time employees and are supervised by professional field managers and offer an instant bid on ground maintenance. Find out how easy it can be to hand your landscape maintenance to the professionals who know and care. Contact our team at Earth First Landscapes near Houston today! Commercial Property Sprinkler Systems Done Right!